Can the car leave the country? 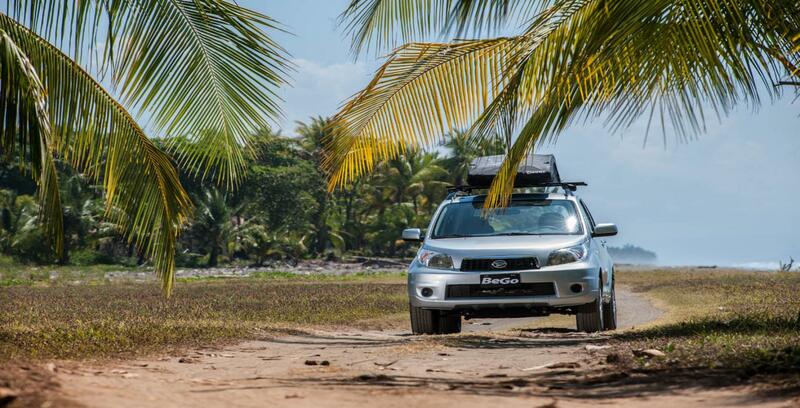 For insurances purposes cars cannot be taken out of Costa Rica. If your rental vehicle experiences mechanical issues, you can call 24/7 at 8875 6262. The credit card rental insurance information is provided as a reference only and does not stipulate any type or implied agreement. It is up you to inquire about the particulars of your credit cards rental car protection program. Insurance, all taxes, unlimited miles, additional drivers, delivery and pick up of your car at the San Jose Airport or your hotel within the central valley, a detailed road map of Costa Rica and 24/7 roadside service. You pay here in Costa Rica right when we give you the car no before. Are your vehicles soft top or hard top? ALL our vehicles are HARD-Tops. Most people prefer a hard top because they offer added security for your belongings inside the vehicle. Hard Tops also allow us to secure surf boards. All our vehicles are equipped with Cd player, A/C and roof racks. Note: Never leave valuables in the car. Do not leave anything lying in sight and always park in guarded secure areas.